The Field Training Center announces training vacancies and employment chance at a big industrial company in the industrial area in Suez Canal for the graduates of the faculty of Engineering- Mechanics, Petrochemical and Electrical Engineering departments and Chinese language department at the faculty of Languages and Translation. For those who want to get this vacancy, please send your CV and fill an application to get a chance of having an interview that will be held at the Field Training Center at the university. This will be on Sunday 28/04/2019 in the presence of Mr. Wange Fai- the Deputy General Manager of the company and Mr. Kareem Rabeaa- the General Manager of the human resources in the company. Personal requests should be handed at the Field Training Center at the humanitarian building- D134. The deadline will be on Wednesday 24/04/2019. Prof. Ramadan Abo-ElAla- the vice President of The University for The Affairs of Society Service and Environment Development. 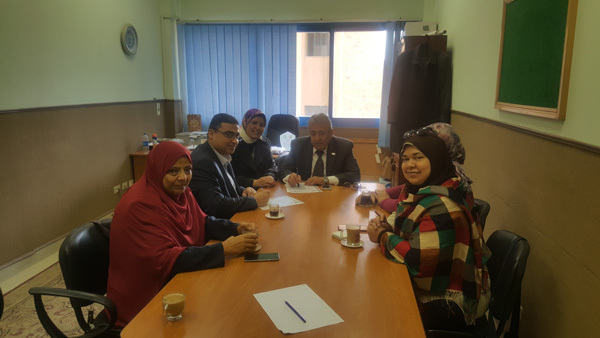 Today’s morning “Tuesday” 26/03/2019, the cooperation protocol between Pharos University and Notting Hill College-Egypt was signed. This protocol involved the training of Languages and Translation Faculty’s students, in the framework of supporting the continuing cooperation between two parties. Within the last three years, many students were trained in the field of “Social Media-Operation-Marketing-Sales”. As well as, some graduates of Pharos University were trained and employed after three months of training. – Prof. Layla Kamel-the Dean OF Faculty of Languages and Translation-Pharos University. Prof. Heba Abd Elglel-the Manger of Notting Hill College-Egypt. With the presence of Prof. Ramadan Abo Elela- the Vice President of Pharos University. Ramadan Abu El-Ala, the Vice President of the Community Service and Environment Development Affairs. Associate Prof. Ehssan Nassef, the Director of PUA Training Centre. Hossam El Din Mostafa, the Managing Director of the House of Wisdom. Reem Bassiouny, the Director of the office of the House of Wisdom in Alexandria. Ramadan Abu El-Ala, the Vice President of Community Service and Environment Development Affairs. Leyla Kamel, the Dean of the faculty of Languages and Translation. Shoikar Gaber, the School Principal of Harvest International School. Rania Bassiouny, the Head of the Training Unit in the faculty of Languages and Translation. Under the cooperation protocol signed between Pharos University and Carrefour, a meeting was held between Prof. Ramadan Abu El-Ala, the Vice President of Community Service and Environment Development Affairs; Prof. Ihsan Nassef, the Director of the Training Centre; Mr. Ali Ibrahim, the Director-General of Carrefour in Alexandria and Ms. Abeer Okaz, the Executive Director of the English Language Centre. 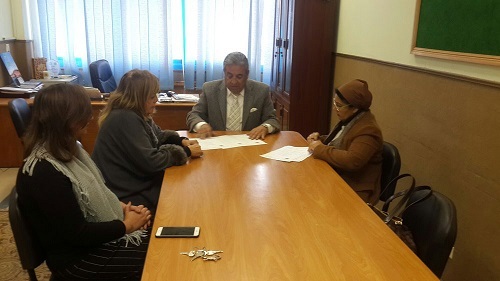 The purpose of the meeting was to discuss the possibility of running English language courses for Carrefour staff in the PUA English Language Centre in this year on a regular basis. Within the framework of implementing the field training plan set for the academic year 2018-2019, the PUA Training Centre held a three-day vocational training course on 27-29 January 2019. 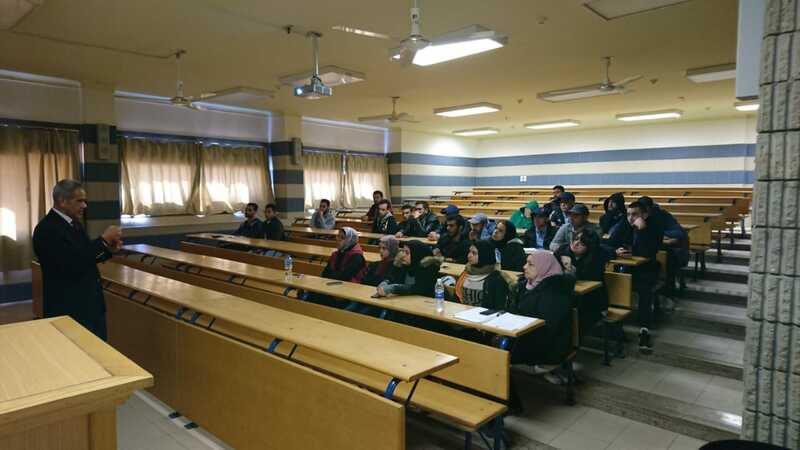 A number of students of the faculties of Engineering and Financial and Administrative Sciences attended the course. Dr. Samy Hassan- the Syndicate of Engineers. Eng. Khaled Amin and Eng. Ibrahim Ezz El Din- the Alexandria Electricity Distribution Company. Eng. Mohamed Alsayed Ibrahim- the Egyptian Ethylene and Derivatives Company (ETHYDCO). Dr. Mohamed Al Dakak, the Chairman of the Board of Al Behaira Joint-stock Company. Eng. Mohamed Fasil Al Sobky- the Egyptian Styrene and Polystyrene Production Company (Estyrenics). Mr. Ali Ibrahim, the Director-General of Carrefour branches in Alexandria. Eng. Ahmed Abdel Nasser- the Egyptian Petrochemicals Company. Eng. Ahmed Al Shafy, an executive director in Nahdet Misr Company. Eng. Ismail Aladly- the African Consulting Firm. 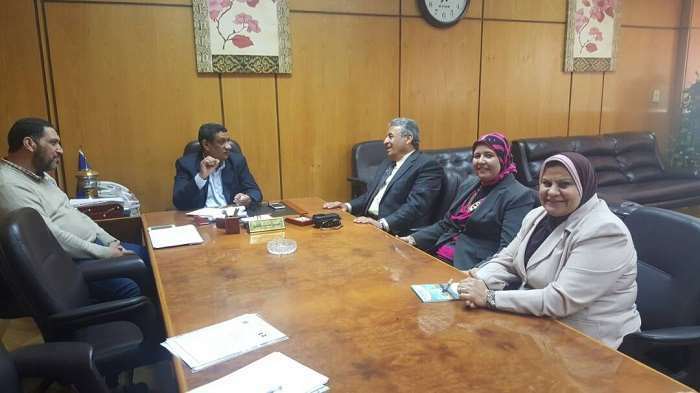 The coordination of this three-day vocational training course was managed by Dr. Yasser Al Kamshoshy, the Director of the Training Unit- the faculty of Engineering, Prof. Nagwa Mohamed, the Director of the Training Unit- the faculty of Financial and Administrative Sciences, in addition to the PUA Training Centre staff, including Prof. Ihsan Nassef, the Director of the Training Centre, Eng. Fathy Shokry, Eng. Amr Mamdouh, Eng. Sara Alaa and Ms. Amira Beshr. This was held under the auspices of Prof. Ramadan Abu El-Ala, the Vice President of Community Service and Environment Development Affairs. Prof. Ramadan Abu El-Ala, the Vice President of Community Service and Environment Development Affairs. Eng. Wael Radwan, the Executive Chairperson of the Plastic Technology Centre. Prof. Ihsan Nassef, the Executive Chairperson of the PUA Training Centre. Eng. Nagwa Almaanawy, an expert in the Plastic Technology Centre. Chemist. Riham Mohamedeen, the PTC Technical Support Manager. Ms. Wafaa El Sebai, the PTC Training and Public Relations Manager. On signing the protocol, it was agreed upon providing training for the PUA students in the production stages of plastics. Under the by-laws of PUA faculties, students MUST complete their training hours in the PUA Training Centre before graduation. Prof. Mohamed Fahim, the Head of the Petrochemical Engineering Department, along with some academic staff members received a delegation of the Plastic Technology Centre which is affiliated with the Ministry of Trade and Industry (MTI) on Tuesday 14/11/2018. The delegation was comprised of Eng. Nagwa El Maanawy, the Head of the Plastic Technology Center and the Chemist. Riham Mohameden, the Head of the Technical Support Department at the Plastic Technology Center. During the visit, the two parties sought means of cooperation in many aspects; lending a helping hand to the department’s students who are working on research projects on polymers manufacturing processes and providing them field training opportunities in the factory of the Plastic Technology Center. By the end of the visit, the delegation was escorted by Prof. Ehsan Nassef, the Director of the PUA Training Centre in a tour to the department’s labs and the PUA Training Centre. 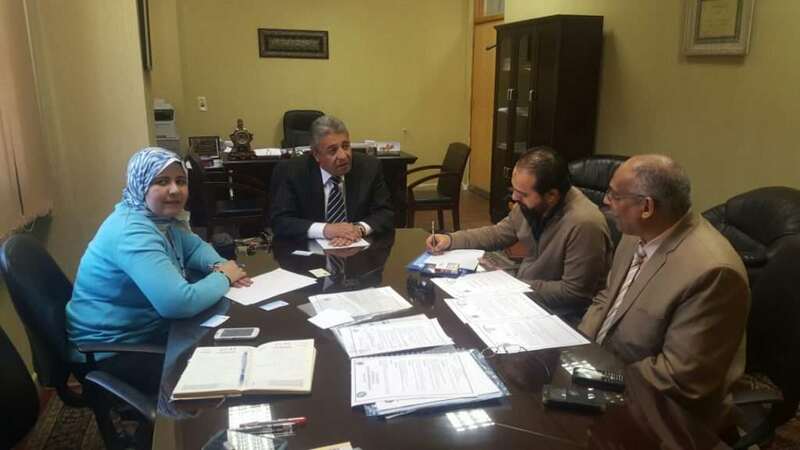 Prof. Ramadan Abu El-Ala, the Vice President of Community Service and Environment Development Affairs met with Eng. Sherief Elbialy, the Chairman of El Safa Press for Printing and Packaging on Sunday 12/11/2017. This meeting was held to thank Eng. Sherief Elbialy for opening up opportunities of summer training for the students of the faculty of Arts and Design in the company. 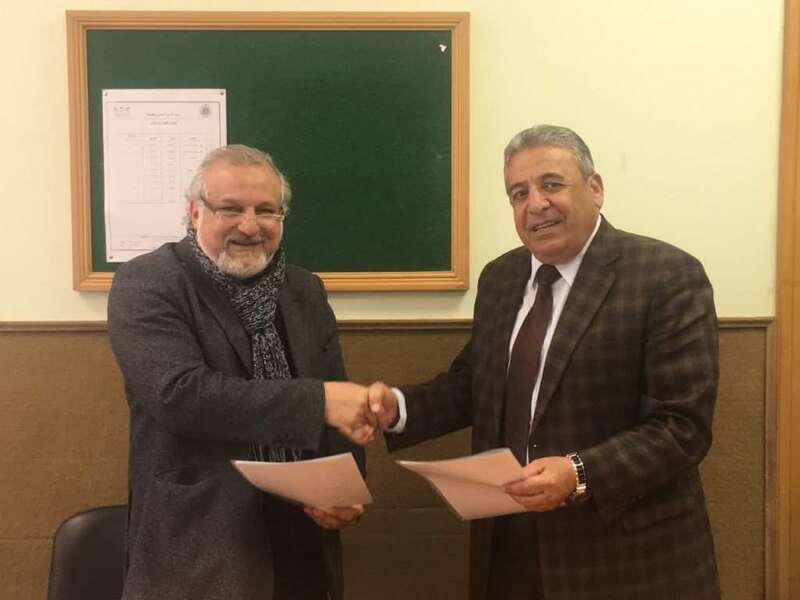 This came as a result of the cooperation protocol that was previously signed between Pharos University and El Safa Press. The meeting was attended by Prof. Hana Yasin, the Dean of the faculty of Art and Design; Dr. Shaimaa Khodeer, a Lecturer at the Graphics Department and the Director of the Field Training Unit at the faculty of Arts and Design and Eng. Mohamed Hakim, the Pre-press Department Manager at El Safa Press and a supervisor of PUA students during their summer training in 2017. Providing training in printing and packaging for the teaching assistants of the Graphics Department in Germany. 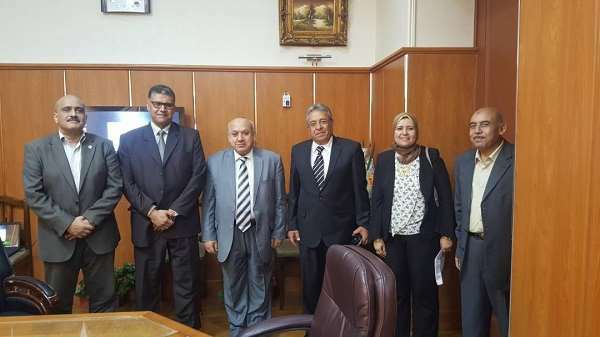 Arranging a visit for the German Ambassador, the German Cultural Attaché and the German Aid Agency Delegate to Pharos University to seek means of academic and scientific cooperation between Pharos Universities and other German universities. 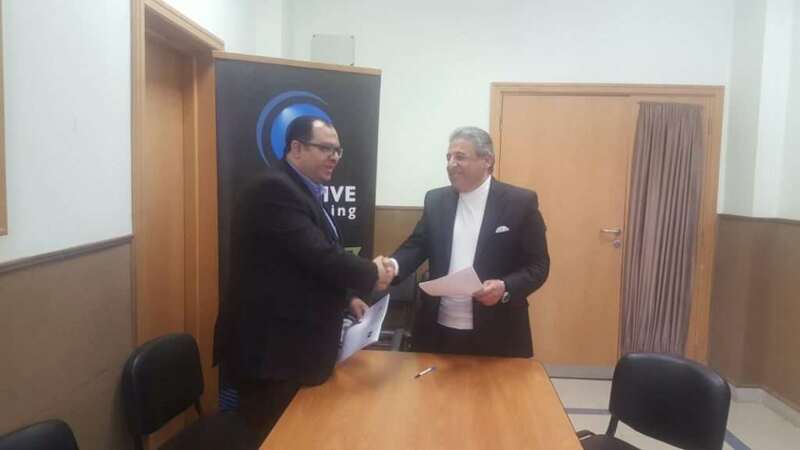 An agreement was signed between Pharos University and the Alexandria Electrical Company on Tuesday 20th June 2017. The purpose of this is to provide training for students from the Faculty of Engineering. 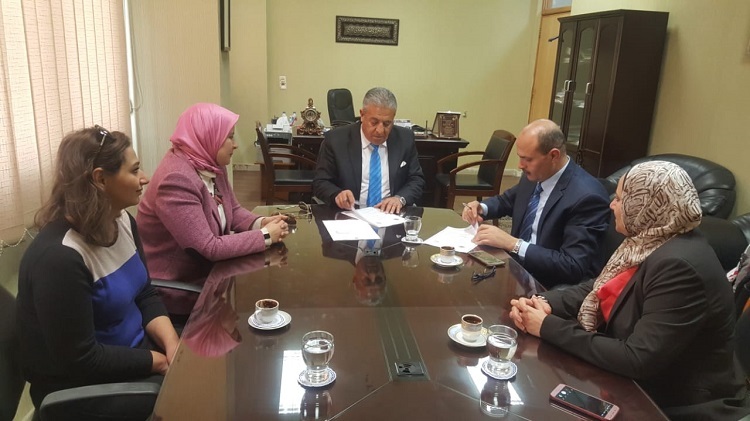 The protocol was signed by Professor Ramadan Abu ElElaa – Vice President forSocial Services & Environmental Development and Engineer HamdyMahrousOkasha – the president of the board of directors of Alexandria Electrical Company. The event was attended by Professor EhsanNassef, the executive director of the of the Center for Field Training, Mr. KhaledAmeen and Mr. Ahmed Serdini. 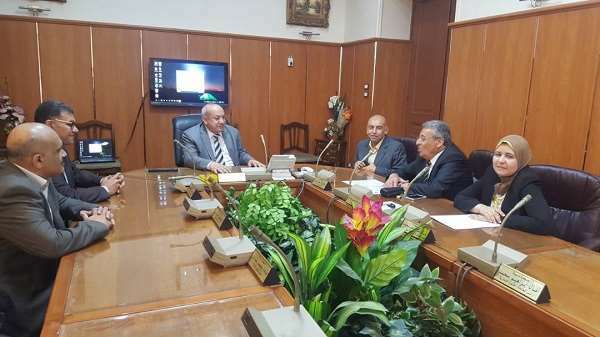 Professor Ramadan Abu Elelaa – Vice President of Pharos University – visited Mr. Gaber Ahmed Hassan the president of the Board of Directors of the Egyptian Petrochemical Company on the morning of Thursday 20 April 2017 at the company premises. 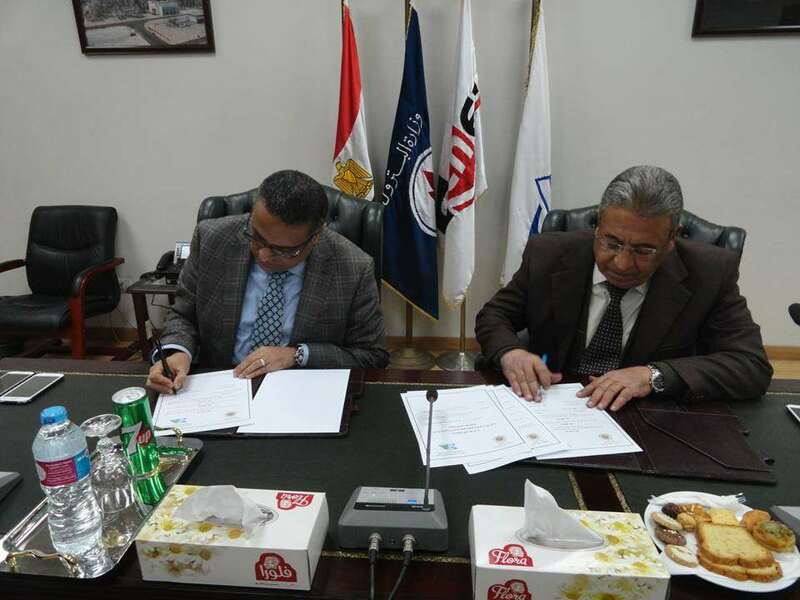 A protocol of cooperation was signed between the Egyptian Petrochemical Company and Pharos University for cooperation in training and exchange of academic and research experience. 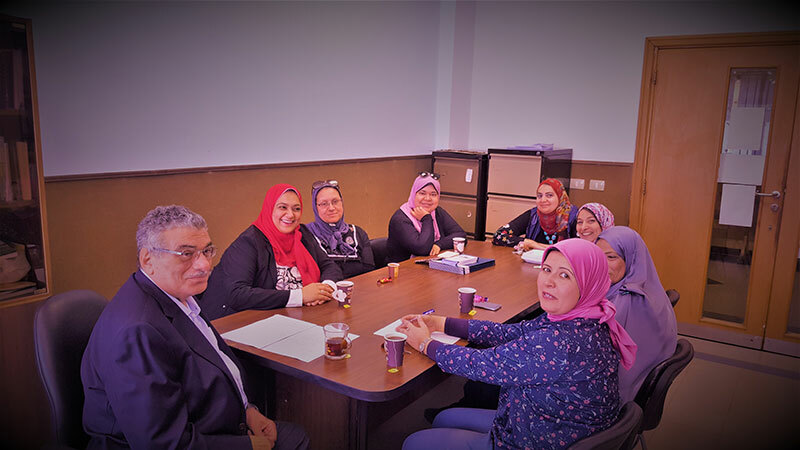 The meeting was attended by Professor Ehsan Nasef – Executive Director and Ms Nadaa Mohamed Alaa Training Supervisor. Also attending from the company were Mr. Khaled Alsharkawy Administrative Director and Ms Hoda Alsaady the Director of Training. 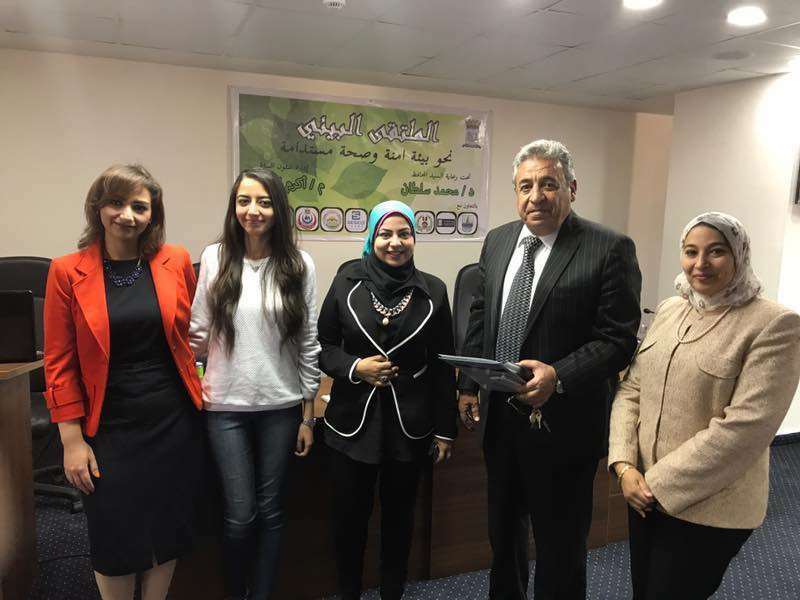 Pharos University participated in the closing ceremony of the environmental forum organized annually by the Environmental Affairs Department in Alexandria entitled (Towards a Safe Environment and Sustainable Health). All the research projects incorporated in the event were announced in the Gathering representing different research Institutes, Universities and Industrial Companies. The research project presented by Pharos University won first place prize which dealt with the pollution problem in the Gulf of Abu Qir. 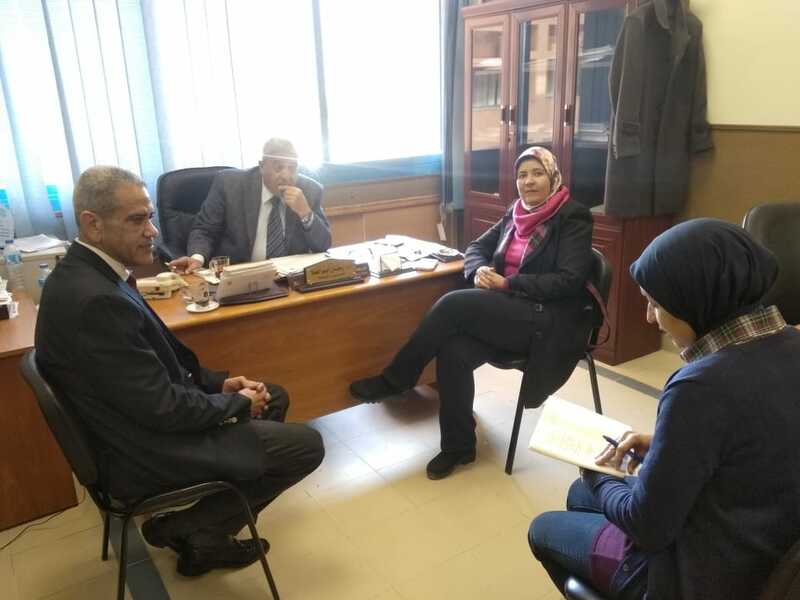 The research project was under the supervision of Prof. Ramadan Abou El-ALA and Dr. Reham Nzaa achieved by both students Mahmoud Al-Ajmi and Ahmed Abdel Ghani. The Faculty of Languages and Translation participated with a project under the title (Alenbash) prepared by the Student Rana Salem under the supervision of Mrs. Rania Bassiouney, leader of the faculty student activity. 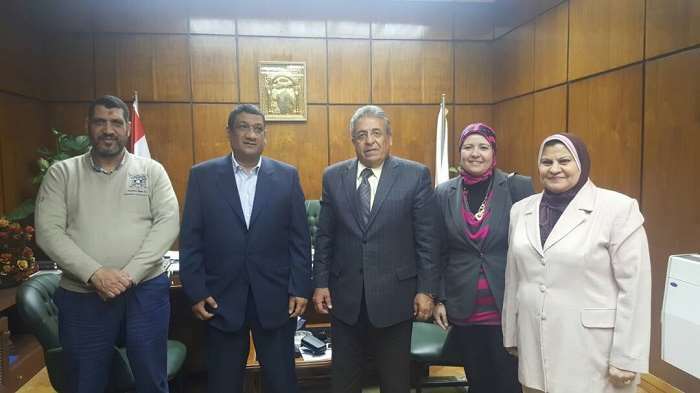 The attendance has expressed a great interest in this research and decided to hold a meeting between General / Mohamed El-Banndari-, secretary general of the province and the ones who did the project in order to take the necessary procedures towards achieving it in some areas in Alexandria. 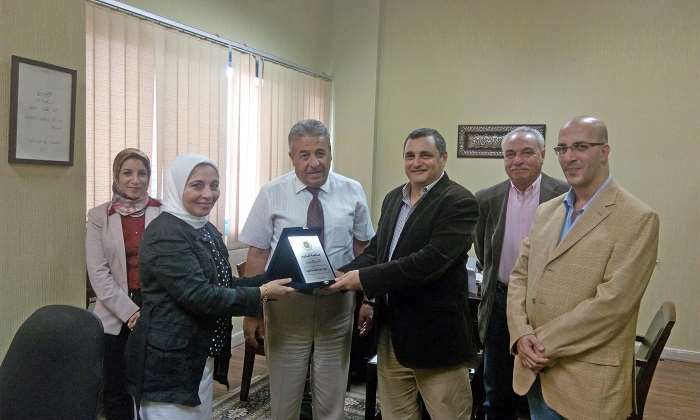 The Center for Field Training at Pharos University signed a cooperation protocol with the AlAhram Regional Institute. This took place on Tuesday 21 March 2017. This will serve to provide training opportunities for Media students. 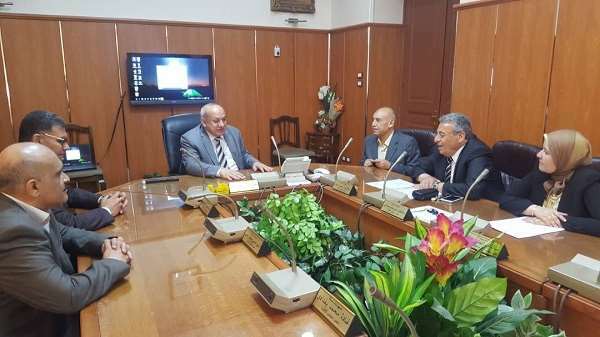 The protocol was signed by Professor Ramadan AbuElaa – the Vice President and representative of Pharos University and Mr. Sameh Abd Allah who represented the AlAhram Organization also representing Mr. Ahmed ElSayed Elnaggar – Chair of the Board of Directors. 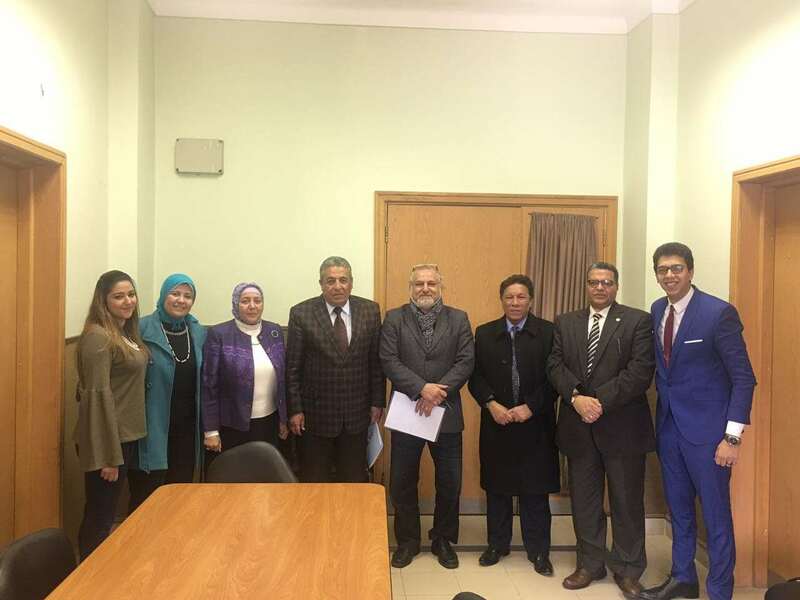 The event was attended by Professor Fawzy Abd El Ghan- Dean of the Faculty of Mass Communication, Ms Sohaila Bazmy, Mr. Mahmoud Abd El Maxoud – Vice Editior of AlAhram Organization, Dr. Ehsan Nassef – the Center Director, and Dr. Hany Fawzy – Director of the Training Center. Pharos University announces that the University is not responsible for any direct connection between the students and the AIESEC organization. Also the University is not responsible for any student travels without the University permission and the parent approval. 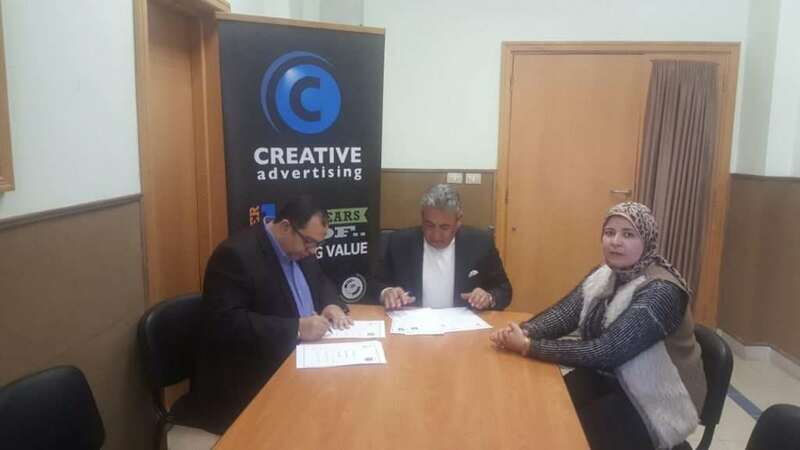 A protocol of understanding and cooperation was signed between the Creative Company for Design & Printing and Pharos University. 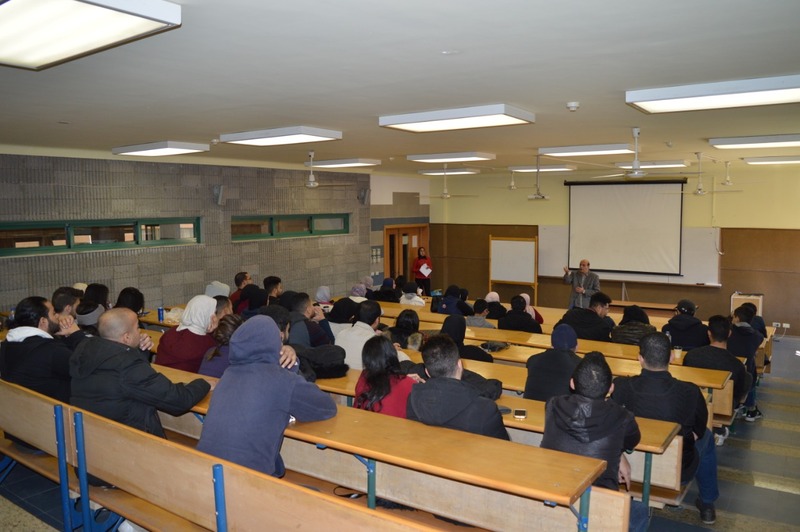 This took place on Wednesday 8 March 2017 in the presence of Professor Ramadan Abuelaa – University Vice President, Professor Ehsan Nassef – the Executive Director of the center, Engineer Sherif Mohamed Abdel Kareem – Director of Creative, and Mr Marawan Yassin the Company Human Resource Director. Student exchange protocol between Pharos university and the AIESEC organization . 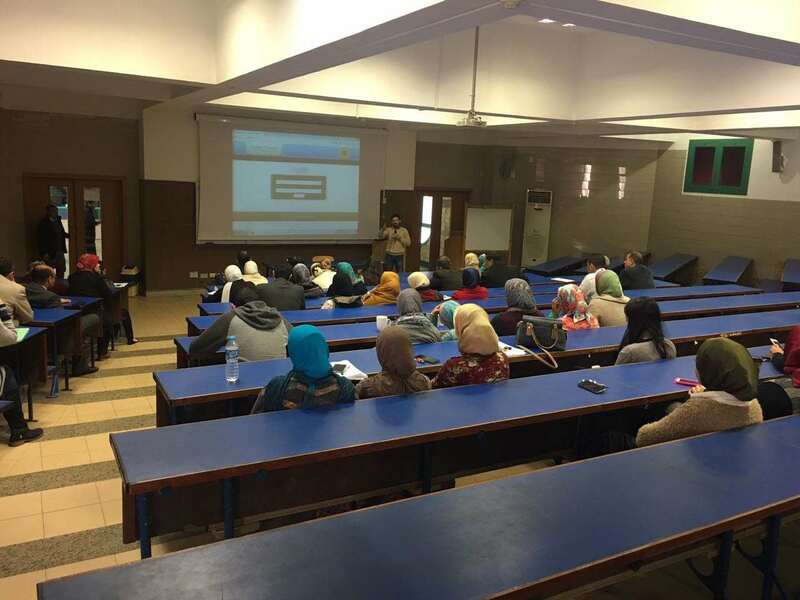 The Egyptian Association for international students’ exchange in the presence of Mrs Rania Bassiouney, the program coordinator at the Faculty of Languages and Translation. 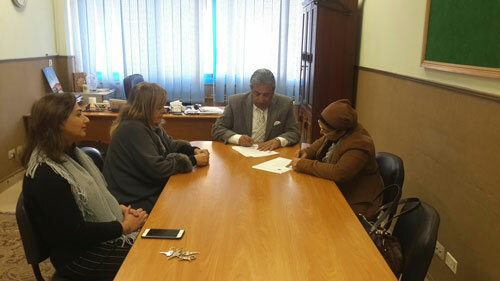 The two partners agreed on the principles and terms of the protocol which will be signed with the University soon. The first meeting for the supervisors of field training. Based on the training plan and agenda for 2016/2017, the first meeting took place on Sunday 12 February, 2017 in Room E124. It was attended by Heads of the training units and the internal supervisors. Eng. Mohamed AlKhateeb who is responsible for managing technical and electronic information discussed a program that deals with registration and uploading information, this is a new program that is linked to human resources. In the light of the instructions given by Mr. Mohamed Ragab, the Chairman of the Board of Trustees of Pharos University to launch the Field Training Program for Pharos students, a meeting was convened on Monday, 23th of January, 2017 between Prof. Ramadan Abu El-Ala, the Vice President of Community Service & Environment Development Affairs and Dr. Ehsan Nassef, the Executive Director of Pharos Field Training Centre on one side and Eng. Ali Mostafa Ahmed, the Head of the Training Department and Eng. Karim Youssef, the Marketing & Public Relations Manager in West Delta Electricity Production Company on the other side. 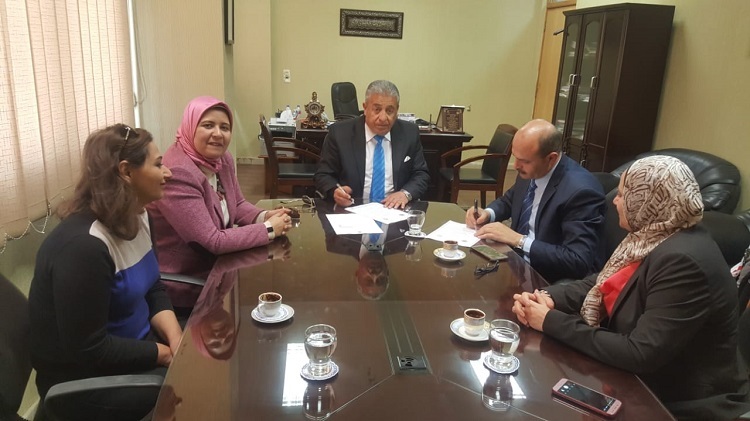 During the meeting, it has been agreed upon the terms of the protocol between Pharos University and West Delta Electricity Production Company. 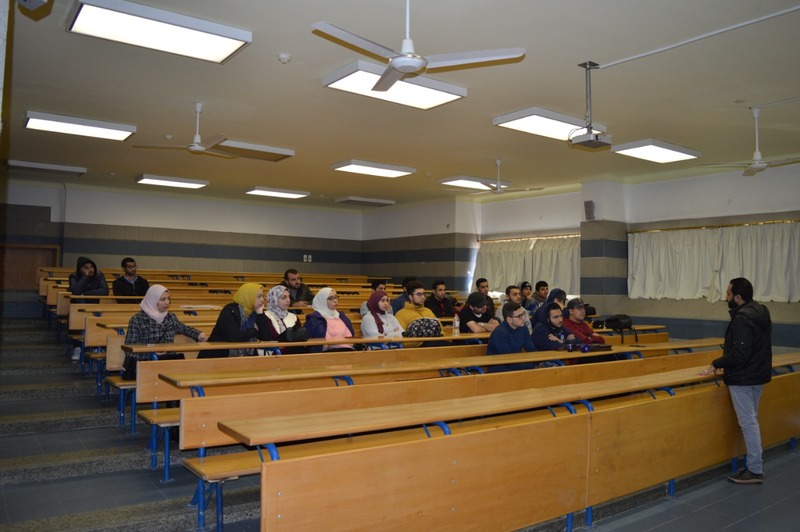 The students of the faculty of Engineering at Pharos University are going to be distributed across various power plants in Sidi Kerir, Abou- Qir, Damanhour and Kafr Al-Dawwar. Moreover, the students of the faculty of Legal Studies and International Relations are going to be provided with the required field training in other specialized departments. The contract signing is going to be on the beginning of February. 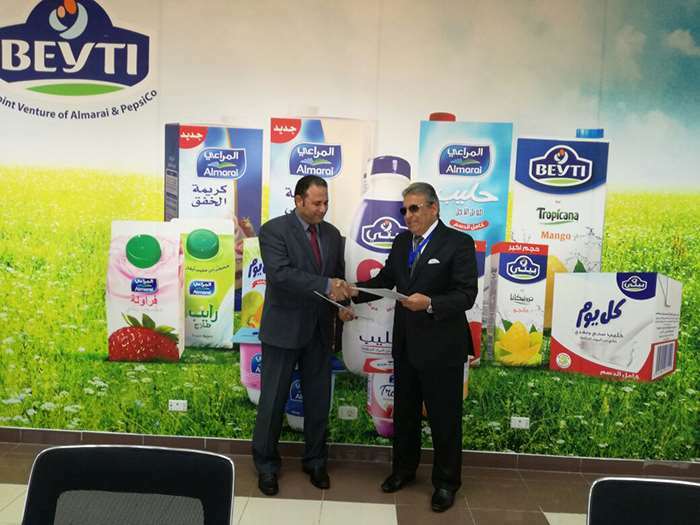 On Thursday 19th January, the UniversityVice President Professor Ramadan Abo El-Ella met with Engineer Mohamed Abady who is the Chairman of the Egyptian Styrene & Polystyrene Production Company. 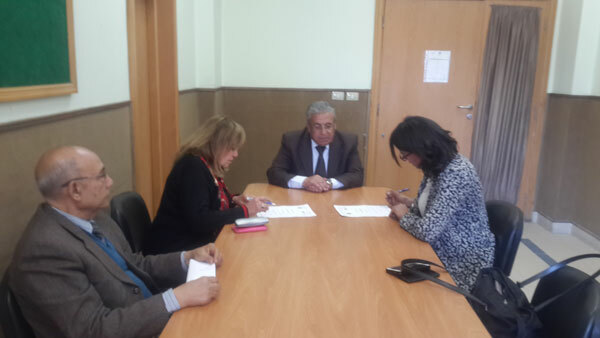 The meeting included Professor EhsanNasef who is the Executive Director of field training at Pharos University. 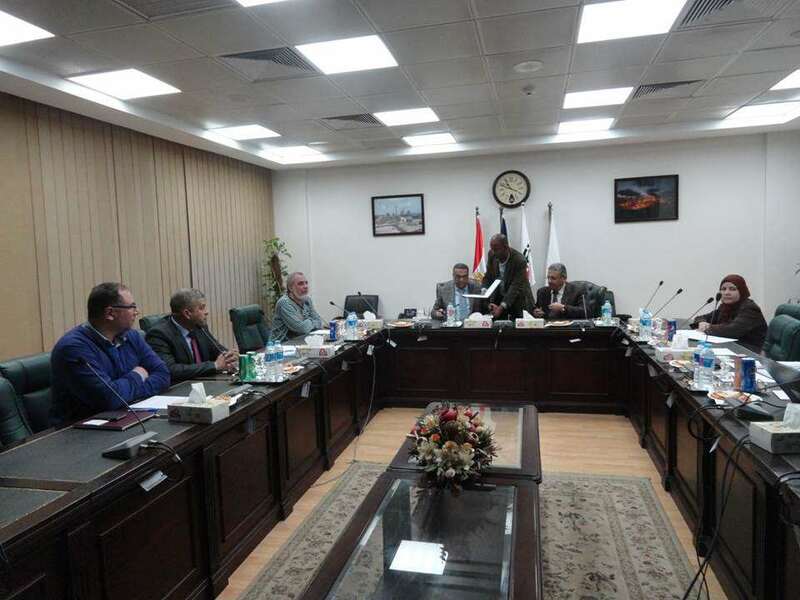 A protocol of understanding between the university and the company was signed to provide field training for students from the Faculties of Engineering, Science, and Financial & Administrative Sciences. The training will be in the areas of academic research and workshops. Mr. Mohamed Hamed–Executive Director for Research & Development El Amriya medical Company. 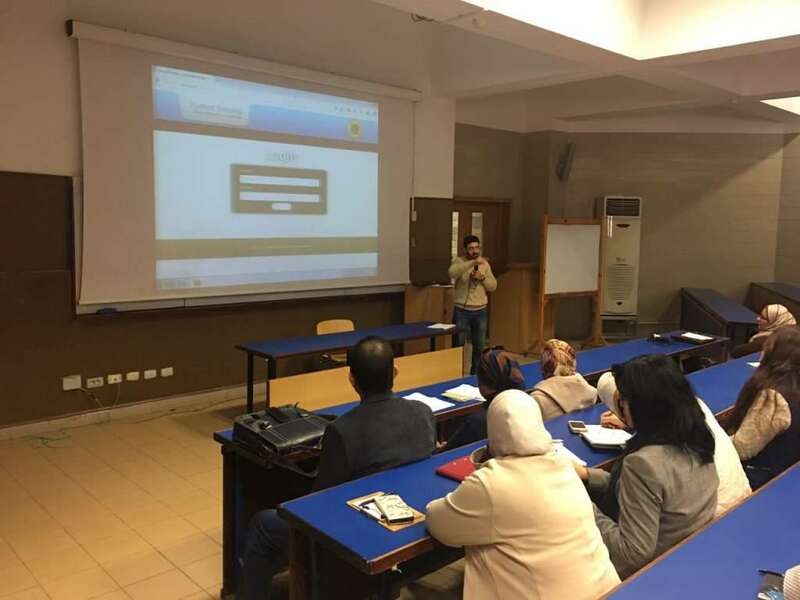 An initial protocol was set up for cooperation between Pharos University and the above mentioned companies in the area of on-hands training for the university students. It should be noted that Beity Company will provide housing for the students during the period of training. This will make the training more effective since the students will be involved full time and totally involved in the process. 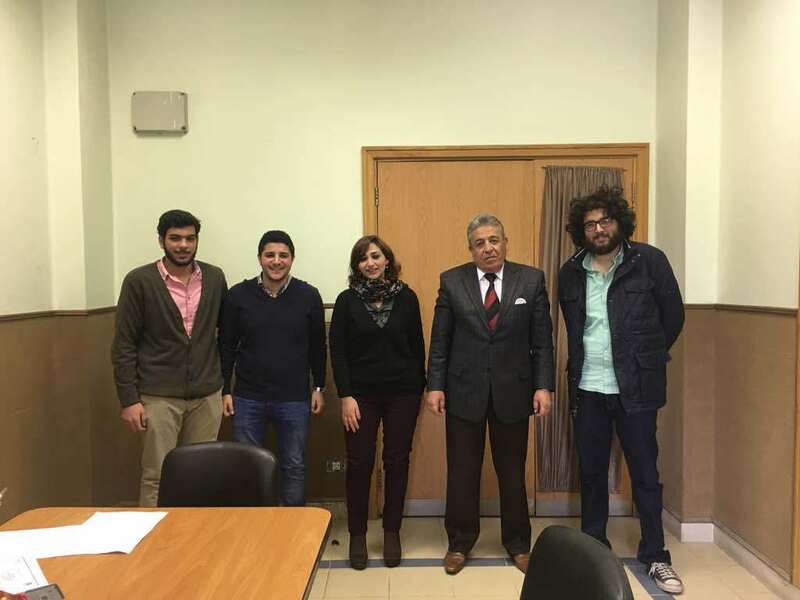 This is also a potential for student full time employment in the future, also Prof. Dr. Ramadan Abu Elella and Dr Ehssan Nassef visited Beyti company on Thursday 24/11/2016 .